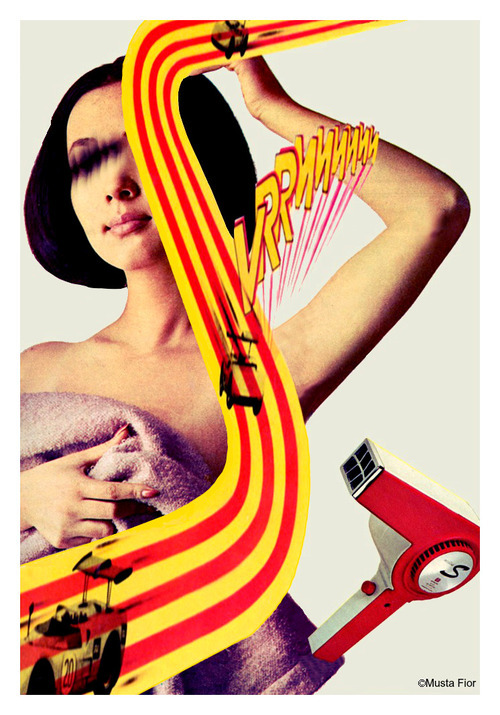 One of our latest Artist Submissions from the über talented French collage artist Musta Fior! Working in this medium since 2010, Musta primarily uses traditional techniques with a variety of papers, "but sometimes uses the mouse for digital collages." Always looking for new inspirations, he regularly works on new series and collaborates with other international collagists on a variety of media.